Most people are looking to easy to pick up, profitable, Betfair trading strategies. A popular Betfair trading strategy on the Betfair betting exchange is scalping. Based on the comments I’ve received on other Betfair videos, I thought I would do one on scalping, a full tutorial. 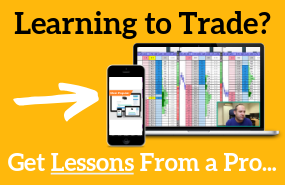 This video is a bit longer than some of the video I’ve produced but that is so we can talk about all aspects of Scalping in great depth. We can also talk in depth about the EPIQ or estimated position in queue feature on Bet Angel and how you might use this when scalping a market. In this case the Cheltenham festival.